I started with the flower image… added a layer in Photoshop and drew an oval with a 200px feather since it was the original large file. When working with smaller files, you may want to reduce the feather size. 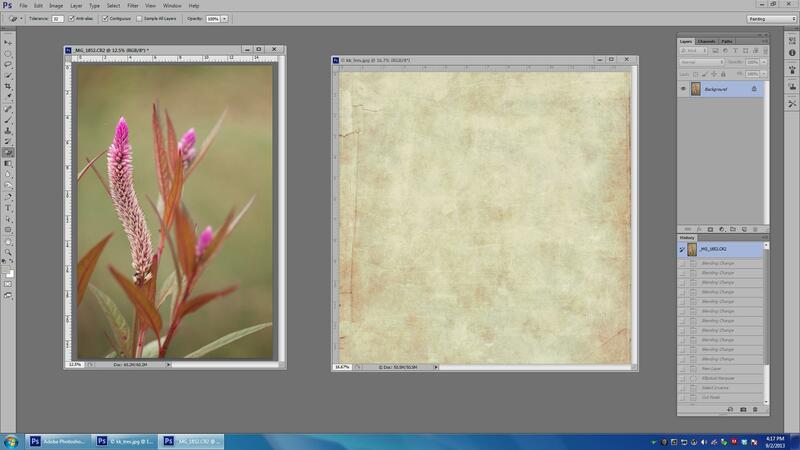 I had to double click the Background flower layer to make it free for edits.. it then became Layer 0. Ctrl/Cmd -Shift – I to invert. Then Ctrl/Cmd X to cut the pixels outside the oval. I dragged the texture layer on top of the image and Ctrl/Cmd T to position the layer how I wanted it. The original texture had some “crinkles” that I pulled outside of the image boundaries. 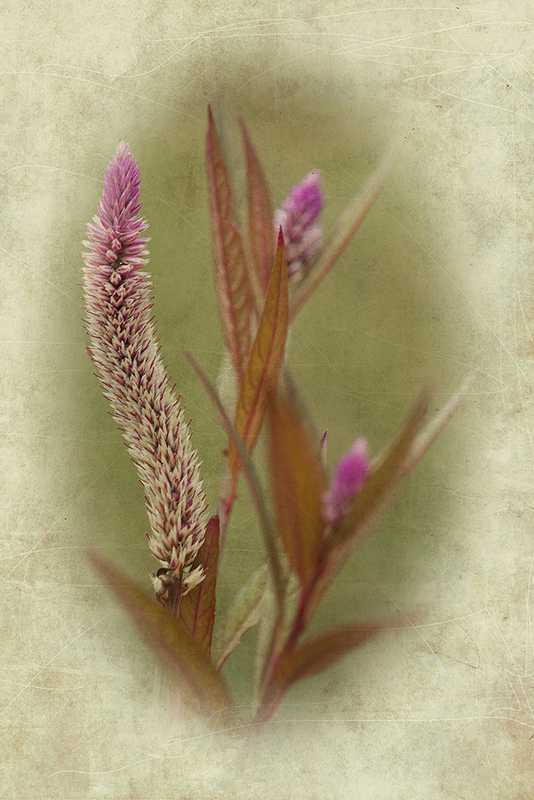 Then I tried different blend modes and liked Multiply the best.